Executive Mosaic’s GovCon Index closed at an all-time high Wednesday for the second time in three sessions as U.S. stocks also extended their record-setting rally in their best one-day performance of 2017 so far with the S&P 500 composite index above 2,400 for the first time during intraday trade after President Donald Trump’s Tuesday night speech to Congress amid renewed speculation on the next interest rate hike. 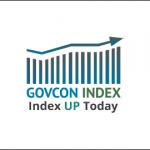 GovCon Index advancers outnumbered decliners by a 9-to-1 ratio as nine of its 11 S&P 500 components advanced with co-listed Boeing (NYSE: BA) the GCI’s overall top net performer at a gain exceeding $3.00, while Northrop Grumman (NYSE: NOC) and McKesson Corp. (NYSE: MCK) lagged among stocks in both indices. Large technology and government services primes paced the GovCon Index’s gain after Trump told Congress would propose “one of the largest increases in national defense spending in American history” and said care for veterans would be a priority under his administration. Of the 17 GCI stocks up $1.00 or more, eight rose by at least $2.00 as 11 hit 52-week highs during the session. Northrop stumbled from a positive open after analysts at Citi downgraded the stock to “Neutral” from “Buy” and lowered the price target from $285.00 to $275.00 on concerns investors may expect too much sector growth too soon in an industry challenged by budget constraints, slow contracting processes and some ambiguity over Trump’s military spending priorities. Citi also cited in its note to investors new pressures from the Defense Department on contractors to innovate and control costs, which the analysts said puts more risk into the business models of large primes on higher research-and-development and capital expenditures. Other downgrades by Citi in that note included the U.S. military’s two largest shipbuilders General Dynamics (NYSE: GD) and Huntington Ingalls Industries (NYSE: HII), both of which held onto their gains as Trump promised throughout his campaign he would work to increase the Navy’s fleet size. Trump is scheduled to visit Huntington Ingalls’ shipyard in Newport News, Va. Thursday. Trump also told lawmakers Tuesday night he wants to prioritize tax cuts and $1 trillion in spending on domestic infrastructure to boost the U.S. economy. Futures traders subsequently priced in 70-percent odds of a rate hike at the Federal Reserve‘s next policy meeting March 14-15 after the Institute for Supply Management’s manufacturing index hit its highest level in February since 2014 and the Commerce Department said inflation in January rose at the fastest pace in four years, Reuters reported. Financial stocks surged 3 percent to lead 10 major S&P 500 sectors higher with utilities the only decliner and utilities the only laggard by 0.7 percent.